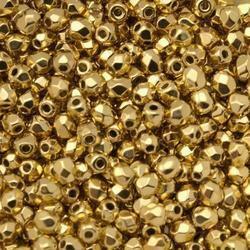 We are engaged in offering a quality approved array of Resin Bead Artifacts. The Resin Bead Artifacts we offer is widely demanded amongst the clients for their unique appearance and different designs. These acrylic glass beads are appropriate to reveal the understated beauty of sophisticated pieces of handiwork. Large selection of plastic & acrylic beads and charms, various colors and shapes including pony beads, sew-on stones, opaque, transparent and frosted beads. We at Ganesh Jewellery provide you with the widest array of shapes, colors and designs to ensure that the customer is never left with a complaint. Our products are innovative at its best, and also aim at providing the most competitive prices for our products. The range offered to our clients also includes Acrylic Fancy Bead. Our range of Acrylic Fancy Bead is widely used to decorate home, office and other place and is available at market leading price. Other Information:Acrylic beads are available in different sizes such as 3mm, 4mm, 6mm, 8mm, 10mm, 12mm etc and also in different shapes and colors. These are used for jewelry making, craft DIY projects and decor. 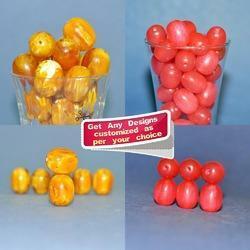 Catering to the requirements of our clients, we are involved in the offering Acrylic Rose Beads.